A wide gama of sound spectres is created by the Lithuanian duo under the title of TIESE. Meditative calm minutes transform into harsh, crazy and hardly bearable industrial beats that are encrypted into a torturing wall of sound. The sonic madness slowly becomes psychedelic, but an ever clearer and tangible mirage. 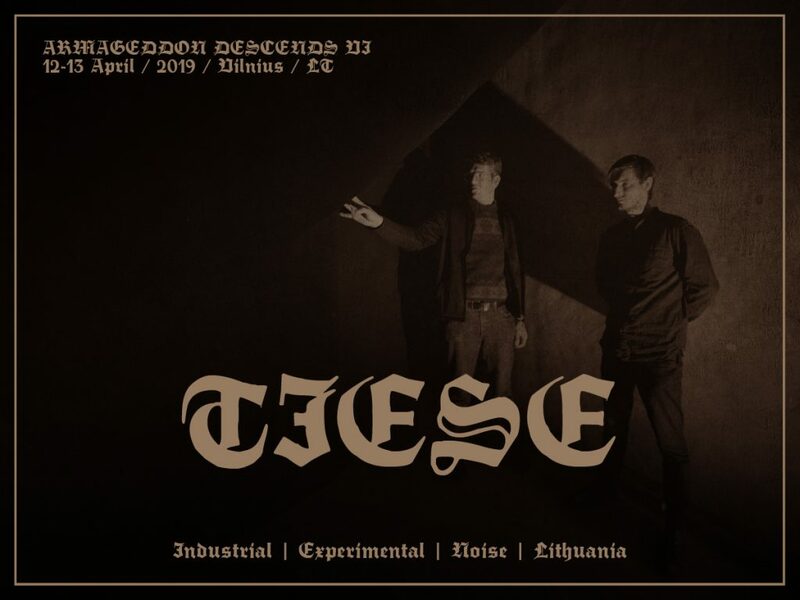 TIESE will perform a new, never published or performed long-play composition made specially for “Armageddon Descends VI”.